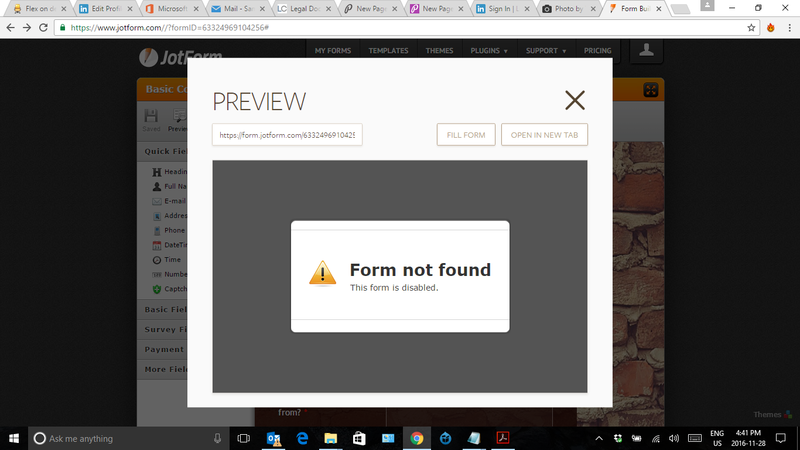 Constantly gives me this error message - with even new forms. Please help. This is urgent for us. Sorry about this, one of your forms triggered our Phishing Detector tool to auto-suspend your account. Your account is now re-enabled manually, and your forms should be working fine. Please try accessing your forms again, and let us know should you need any further assistance. Thank you!